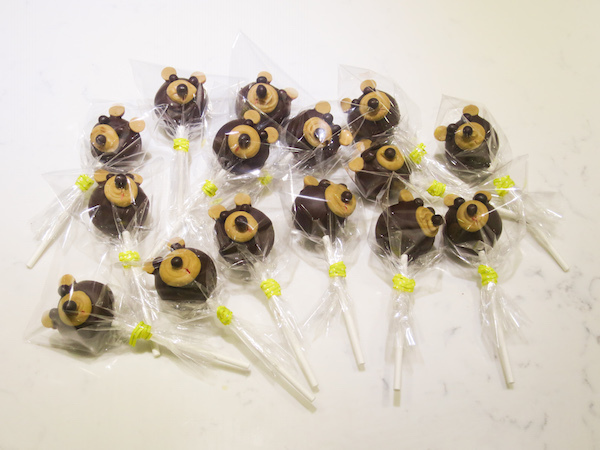 I’ve spent last couple nights creating little animal cakes on sticks and don’t know what would be better reason to stay up late standing in the kitchen. 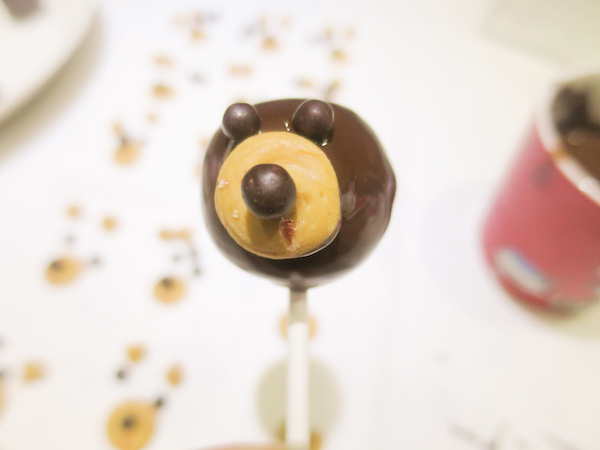 Cake pop projects are just so much fun, you do not even notice the time passing when working on the little details! 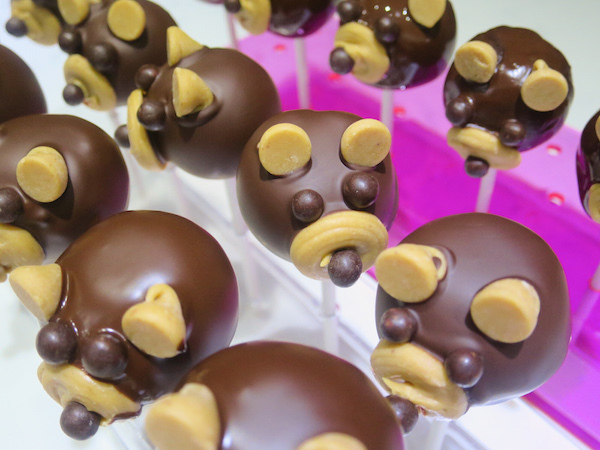 These cute and simple bear cake pops are made of chocolate cake covered in dark chocolate, peanut butter chips in ears and face and mini chocolate ball eyes and nose. 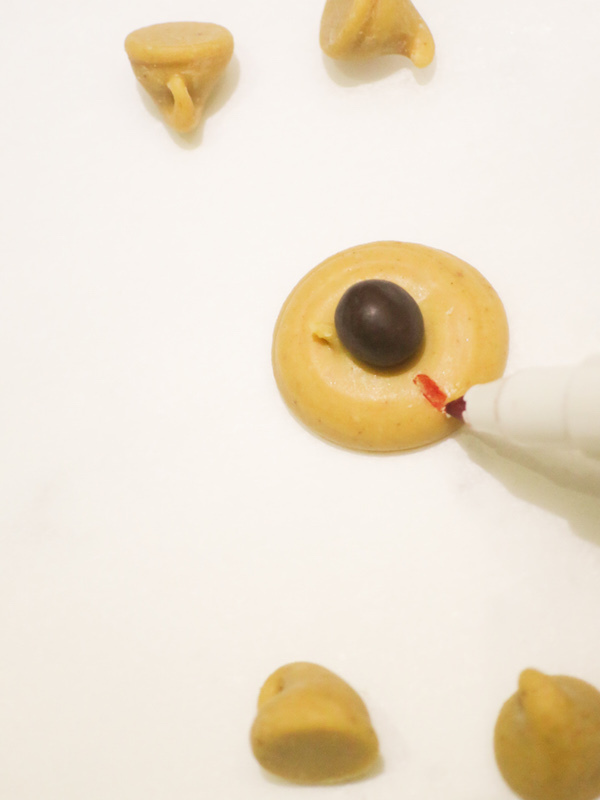 Melt half of the peanut butter chips, place in a piping bag and pipe rounds approximately twice the size of a peanut butter chip. 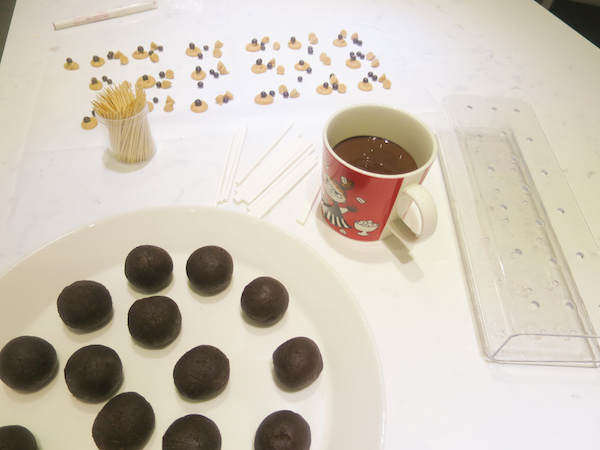 Place a mini chocolate ball in middle before it hardens and by using a toothpick draw a line under. You can use an edible red food marker to colour the mouth. Mix cake crumbs and frosting. 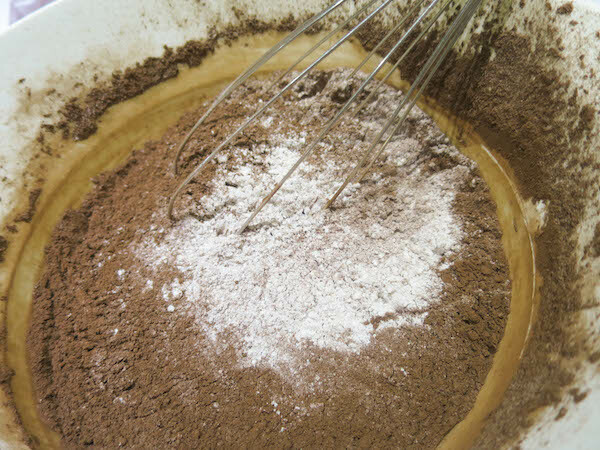 Take small portions of the mixture, 18-21g and form into balls. 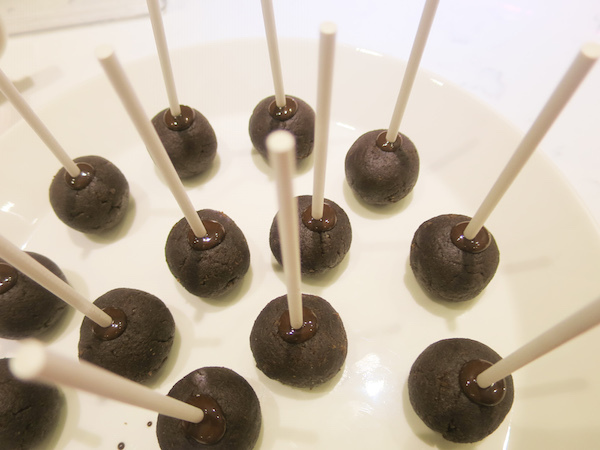 Melt the dark chocolate and place in a cup deep enough to cover a cake ball. 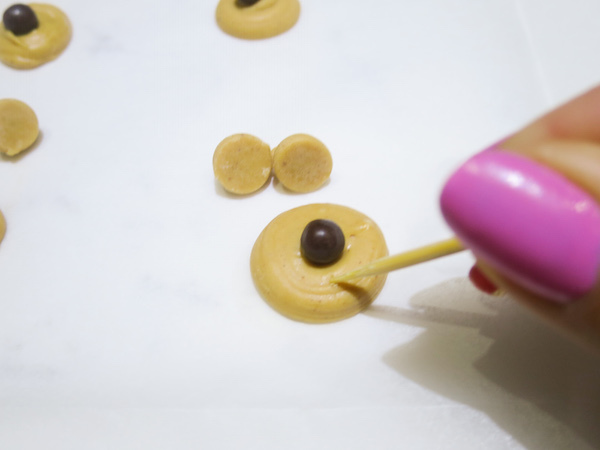 Dip a lollipop stick in melted chocolate and insert in the cake balls gently pushing up to middle so that you can feel it sits firmly on the stick. Place in refrigerator until chocolate hardens. 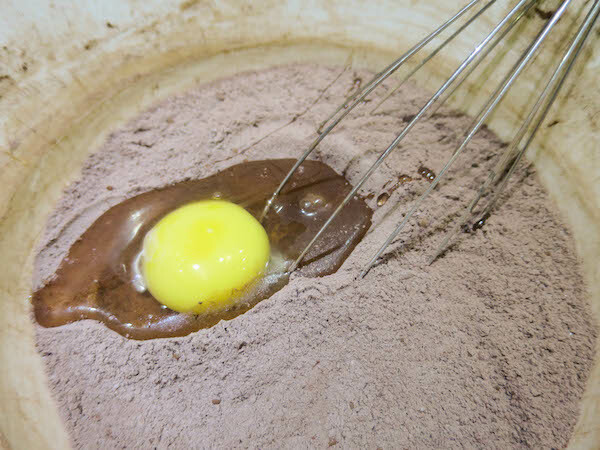 Carefully dip into melted chocolate, tap off excess chocolate and place face and eyes. Place peanut butter chips as ears on top quickly before the chocolate hardens. 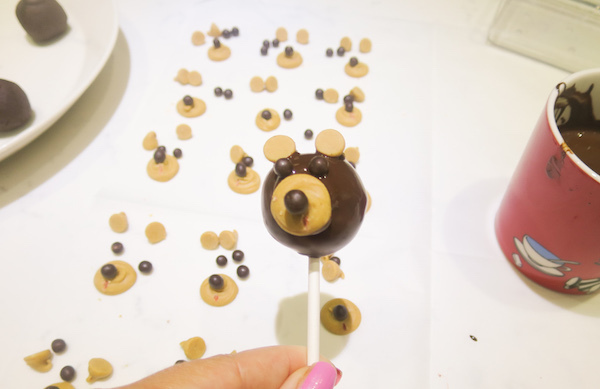 Put into cake pop holder to dry. 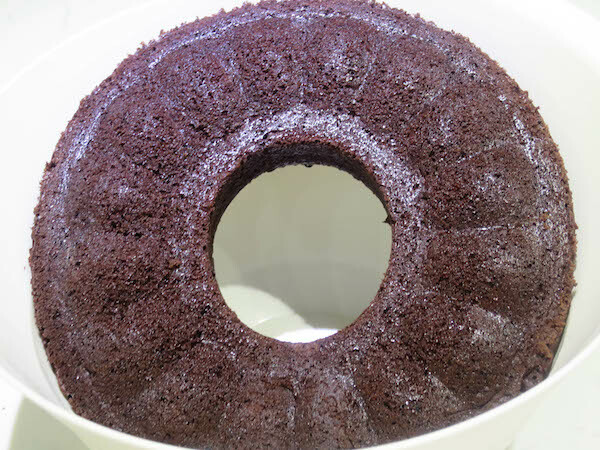 Preheat oven to 180°C and lightly grease a 20cm cake tin/ ring cake tin. Add egg, cream and vanilla and mix well. 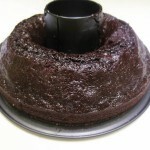 Stir the hot water in and mix until fully incorporated then pour into the cake tin and bake for 25-35 minutes, until a toothpick inserted in middle comes out clean. 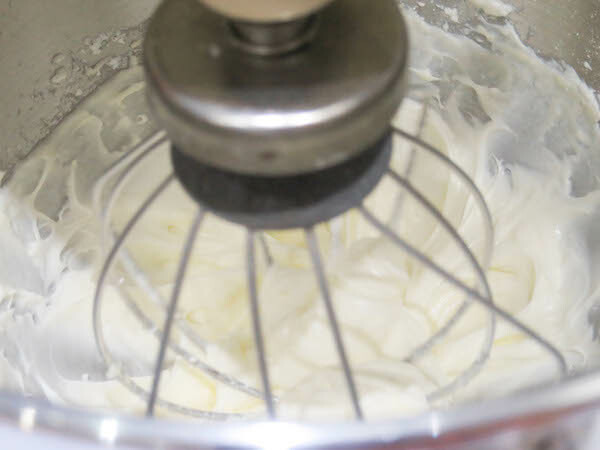 Used in cake pops, mixed with 100 grams of cream cheese icing this cake makes 40-50 cake pops. 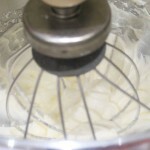 soft whipped cream cheese icing for cupcake frosting or cake pop mixture. 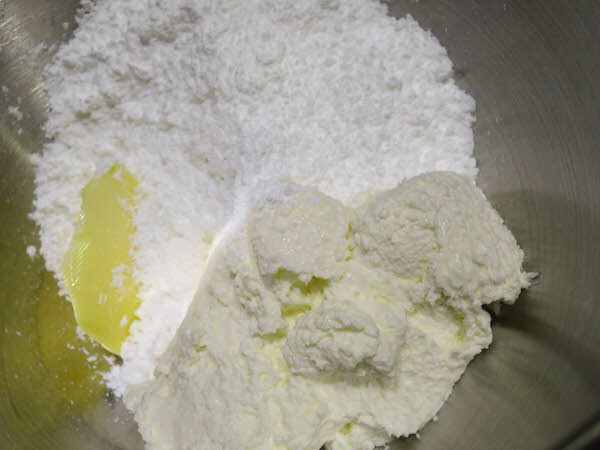 Place cream cheese, butter and half of the icing sugar in a mixing bowl and start beating gradually increasing speed to medium high, mix for a minute until smooth. Add remaining powdered sugar and beat until fully incorporated and smooth and creamy.